Carb blockers are a type of diet supplement. However, they work differently than most of the other weight loss pills on the market. They block carbs from being digested, apparently allowing you to eat carbs without (some) of the unwanted calories. But are they really as beneficial as they sound? This is a detailed review of carb blockers and their effects on your health and weight. Some types are sold as weight loss supplements. They’re made from a group of compounds called alpha-amylase inhibitors, which occur naturally in certain foods. These compounds are usually extracted from beans and are referred to as Phaseolus vulgaris extract or white kidney bean extract (1, 2, 3). Others come in the form of prescription medications called alpha-glucosidase inhibitors (AGIs), which are used to treat high blood sugar in type 2 diabetics (4). In this article, the term carb blocker will refer to the nutritional supplement containing bean extract, not the prescription medications. Bottom Line: The type of carb blocker discussed in this article is a dietary weight loss supplement extracted from beans. Digestible carbs can be split into two main groups: simple and complex carbs. Simple carbs are found naturally in foods like fruits and milk products. They’re also found in processed foods such as sodas, desserts and even flavored yogurts. Complex carbs, on the other hand, are found in foods like pasta, bread, rice and starchy vegetables like potatoes. Carb blockers contain substances that inhibit some of the enzymes that break down these complex carbs (3). As a result, these carbs then pass into the large intestine without being broken down or absorbed. They do not contribute any calories or raise blood sugar. Bottom Line: Carb blockers inhibit enzymes that digest complex carbs, preventing the carbs from providing calories or raising blood sugar. Carb blockers are usually marketed as weight loss aids. They are advertised as allowing you to eat as many carbs as you desire without providing any calories. However, their effectiveness may be limited and studies provide conflicting results. Carb blockers only prevent a portion of the carbs you eat from being digested. At best, they appear to block 50–65% of carb-digesting enzymes (5). It’s important to note that inhibiting these enzymes does not necessarily mean the same proportion of carbs will be blocked. One study examining a strong carb blocker found that even though it could inhibit 97% of the enzymes, it only prevented 7% of the carbs from being absorbed (6). On top of that, the complex carbs affected by carb blockers make up only part of the carbs in most people’s diets. For many people trying to lose weight, the added sugars in processed foods are a bigger problem. Added sugars are usually simple carbs like sucrose, glucose or fructose. These are not affected by carb blockers. Bottom Line: Carb blockers only block a small percentage of carbs from being absorbed, and their effectiveness depends on the type of carbs you eat. The studies ranged from 4–12 weeks long and people taking carb blockers usually lost between 2–5.5 lbs (0.95–2.5 kg) more than the control groups. One study showed up to 8.8 lbs (4 kg) greater weight loss than the control group (7, 8, 9, 10). Interestingly, the people who ate the most carbs appear to be the same ones who lost weight while using these supplements (11). However, the average weight loss for those eating a carb-rich diet was still just 4.4–6.6 lbs (2–3 kg), on average (7, 8, 9, 10, 11). 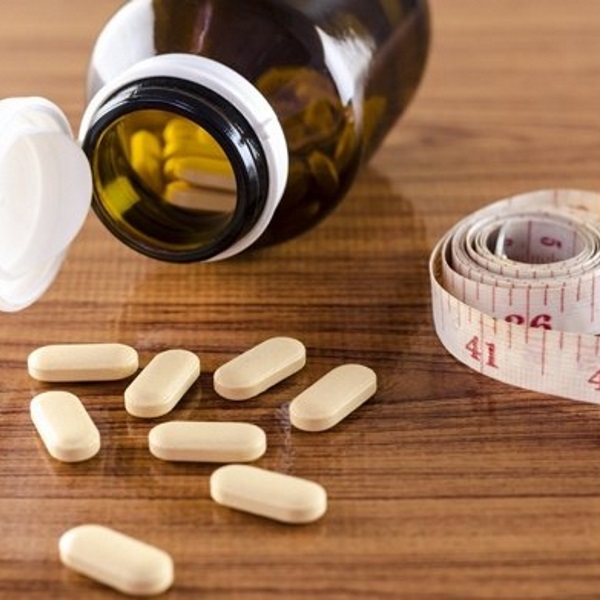 At the same time, other studies found no significant difference in weight loss between people who took the supplements and those who did not, making it hard to draw any conclusions (11, 12). Unfortunately, most of these studies were small, poorly designed and largely funded by supplement companies, meaning the results may not be very reliable. More independent, high-quality studies are needed. Bottom Line: Some studies have shown that carb blockers can help you lose up to 2–9 lbs (0.95–4 kg) of weight, while others show no effect. In addition to blocking carb digestion, carb blockers may affect some of the hormones involved in hunger and fullness (2, 6). They may also help slow stomach emptying after a meal (2, 6). One reason for this effect may be because bean extracts also contain phytohaemagglutinin. This compound can increase the levels of some hormones involved in fullness (2). One rat study found that the phytohaemagglutinin in carb blockers did cause a significant decrease in food intake. The rats that had been given the compound ate between 25–90% less. However, this effect lasted only a few days (2). By the eighth day of the experiment, the effects wore off and the rats ate just as much as before. Additionally, once they stopped taking carb blockers, the rats ate up to 50% more than before to compensate and returned to their previous weights (2). Similar studies found that a carb blocker supplement could decrease the amount of food the rats ate by 15–25% over a consistent period of time and even caused them to eat less of foods that are high in fat and sugar (2). This effect has not been well-researched in humans, but one recent study found that a concentrated, standardized bean extract did decrease feelings of hunger, probably by suppressing levels of the hunger hormone ghrelin (6). It’s hard to say if this effect is achieved with the carb blocker supplements currently on the market, or if the effect can actually contribute to weight loss in humans. Bottom Line: Some animal and human studies suggest that carb blockers can decrease appetite and cravings, but more studies are needed. In addition, carb blockers are thought to affect some of the hormones involved in controlling blood sugar levels (5). In several studies of healthy people, carb blocker supplements have been shown to cause a smaller rise in blood sugar after consuming a meal high in carbs. They also cause blood sugar levels to return to normal faster (1, 5, 13). Bottom Line: Studies have shown that carb blockers can cause blood sugar to rise less and return to normal faster after a meal. Carb blockers have another unintended benefit — they increase the amount of resistant starch in the large intestine. Similar to fiber, resistant starches are any starches in food that cannot be digested by the enzymes in the small intestine. They are found in foods such as raw potatoes, unripe bananas, legumes and some whole grains (14). When resistant starches pass into the large intestine, gut bacteria ferment them and release gasses and beneficial short-chain fatty acids. Many studies have associated resistant starch with decreased body fat, healthier gut bacteria and improved blood sugar control and insulin sensitivity (7, 15, 16). Additionally, resistant starches may help increase the amount of fat your body burns after a meal (17). Bottom Line: When carb blockers cause carbs to pass into the large intestine undigested, these carbs act as resistant starch. Resistant starch has been linked to many health benefits. These can include diarrhea, bloating, flatulence and cramping (1, 5). These side effects are usually not severe and go away with time, but they are enough for some people to stop taking carb blockers. Bottom Line: Carb blockers are usually safe, although they can cause uncomfortable side effects. Another issue is supplement regulation. Supplement manufacturers are themselves responsible for the safety and integrity of their products, and there have been many cases of fraud in the supplement industry. The FDA recently inspected several herbal supplements and found that a mere 17% of the products contained the main ingredient listed on the label (18). These potentially harmful medications had been added in an attempt to make the supplements more effective (19). For this reason, chances are that many of the carb blockers you can buy in the store don’t actually contain what is listed on the label. When it comes to supplements, it’s always a good idea to do some research and buy from a reputable manufacturer. Bottom Line: Even though carb blockers are usually safe, it’s hard to say if supplements will really contain what they say on the label. Should You Take a Carb Blocker? However, studies haven’t been high enough in quality to show whether carb blockers have any real long-term effect. Plus, they are probably only helpful for people following a moderate-to-high-carb diet. Regardless, carb blocker supplements are just that — supplements. They are no substitute for a healthy lifestyle.